Volume 4, Edition 17 Trouble loading? View this email online. 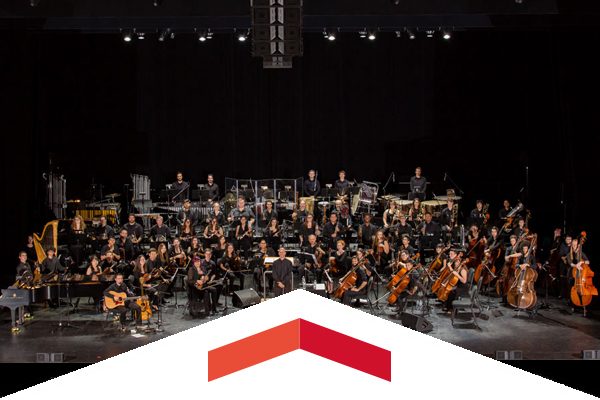 With notable alumni Diane Warren and Andy Summers, the CSUN Music program ranked among the top 25 music schools by The Hollywood Reporter for the third year in a row. 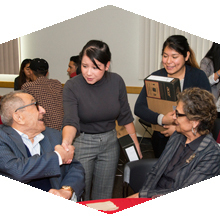 Philanthropists and business titans Younes and Soraya Nazarian presented 50 CSUN business students with laptops courtesy of the Y&S Nazarian Family Foundation as part of a larger effort to invest in student success. 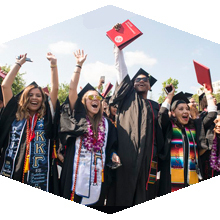 CSUN is continuing to raise the bar in conjunction with the California State University’s Graduation Initiative 2025, which aims to elevate retention and graduation rates across the nation’s largest public university system by the year 2025. Sat., Dec. 17, 8 p.m. The Hot Sardines, New York’s acclaimed ambassadors of swing, will deliver a white hot Christmas that will make your office party seem downright dull. Wed, Dec. 21, 2 p.m.
Head to the Matadome for a great afternoon matchup between the Matadors and the Southern Utah Thunderbirds. Leading the Matadors this season has been sophomore sensation Channon Fluker (15.8 points per game) and talented guard Serafina Maulupe (12.4). Sat, Feb. 11, 3 p.m.
You’re invited to CSUN’s biggest reunion in almost a decade. Reconnect with your friends and alma mater and enjoy a BBQ and the wine garden, compete in the Matador Motorway, and stay for a CSUN men’s basketball game. Tickets are on sale now! Edmund Peckham, whose influence on CSUN student life spanned more than two decades, oversaw student leadership/Associated Students, CSUN Athletics, Greek life, as well as the openings of the University Student Union and the Klotz Student Health Center. The former dean of students and vice president for student affairs passed away at the age of 92 on Oct. 31. Alumnus and staff member Sahag Gureghian and alumna Annie Morcos teamed up to create a children’s book based off the sketches of Gurenghian’s niece, Samantha. For 14 years, Chancellor Charles B. Reed led the California State University to transform California and maintain its place as a national model of excellence in higher education. Initiatives under his tenure promoted quality instruction among faculty, increased access for underserved student populations and returning veterans, and established the university’s role as a supplier of a highly-skilled workforce for California’s knowledge-based economy. Associated Students Sustainability and Recycling Services at CSUN hosted its annual America Recycles Day at the Bookstore Lawn. Several free items, made from recycled content, were given away such as bottles, notebooks and sticky pads. Hop on the reunion train. Associated Students, Housing and the University Student Union are holding mini-reunions at CSUN Homecoming on Feb. 11, 2017. If you would like to organize or participate in a mini-reunion with fellow Matadors from your major, sorority or fraternity or other program, contact Alumni Relations Associate Director Samantha Delagardelle at samantha.delagardelle@csun.edu. This holiday season, give that special Matador in your life a lasting CSUN legacy with a personalized brick in Matador Plaza under the gaze of the spectacular bronze statue of our mascot, the Matador. To receive a personalized certificate to deliver in time for the holidays, your order must be submitted no later than Dec. 14. Authors Dana Johnson and Natashia Deón visited CSUN to read from their most recent books, focusing on themes of race and inequity, written from a black female’s perspective. December pay warrants will be distributed in the lobby of Bayramian Hall on Dec. 30, from noon to 2 p.m. A form must be filled out and delivered to University Cash Services by Dec. 16. A CSUN photo ID is required in order to release your pay warrant. Employees unable to pick up checks may authorize someone to do so, in writing. Include the name of the authorized person, the employee’s department, the last four digits of the employee’s Social Security number and the employee’s signature. Uncollected checks will be available for department pickup from noon to 4 p.m. on Jan. 3, 2017. For more information, please contact University Cash Services at ext. 7222.